This yellow yam salad is an amazing alternative to traditional potato salad it is easy to prepare and healthy. 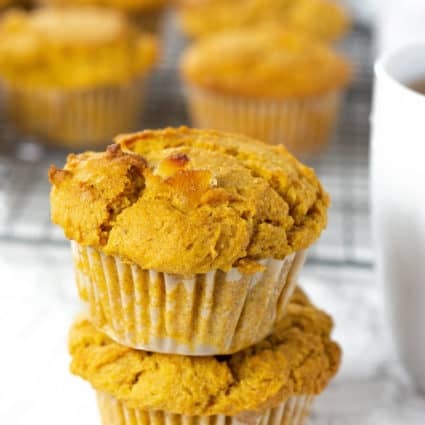 It is vegan, gluten-free and dairy free. 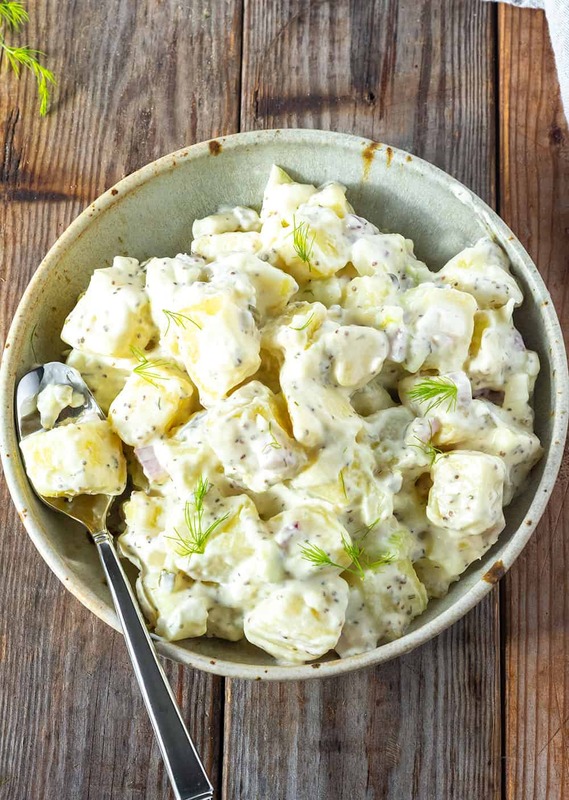 Creamy and indulgent yellow yam salad recipe with a blend of vegan mayonnaise, sweet pickle relish, celery, red onion, and herbs. Change things up and bring this delicious salad to the next potluck, or holiday get together. 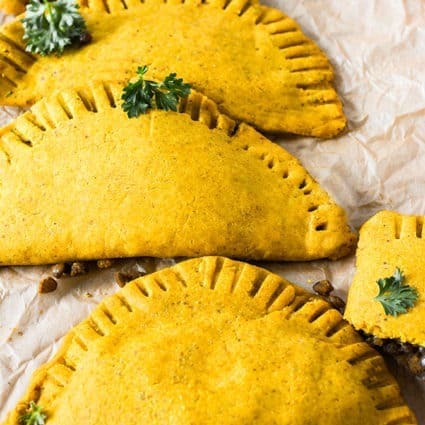 Yams are perennial vines with starchy edible tubers grown in temperate and subtropical regions of the world, like the Caribbean, Asia, and Africa. Yam is of the plant species in the genus Dioscorea not to be confused with the variety of the vegetable of the genus Ipomoea batata called yam (sweet potato) in the United States. Although they are both tubers they are not related. Yellow yam has a rough dark brown skin with bright yellow flesh, the yellow flesh is usually boiled or roasted. 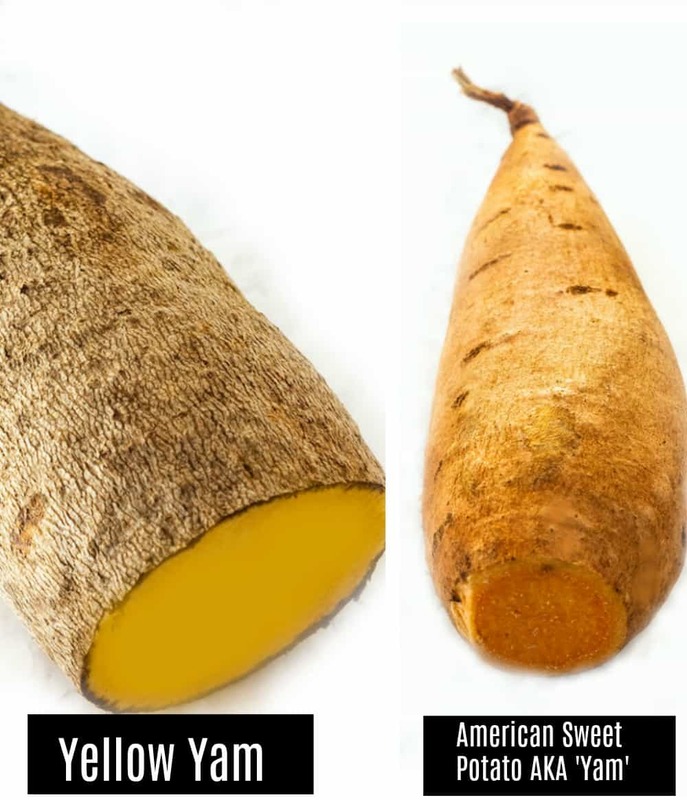 Yellow yam can be purchased here in the United States in Caribbean grocers or some major supermarkets and even Walmart. The white-fleshed yam is more popular and can be substituted in this recipe. Yams are considered to be complex carbohydrates with soluble fiber making them perfect for diabetics allowing the slow release of sugar. They are a good source of Vitamin C, Vitamin B-complex, like B1, B6, folic acid, riboflavin, Pantothenic acid, and niacin. It is also a rich source of potassium, iron, magnesium, calcium, and phosphorus. Store yam in a cool dry place, it can be stored like this if the yam is freshly harvested. It can also be stored in the refrigerator. I have peeled, washed, chopped and stored yam in the freezer uncooked in freezer bags for at least 3 months. 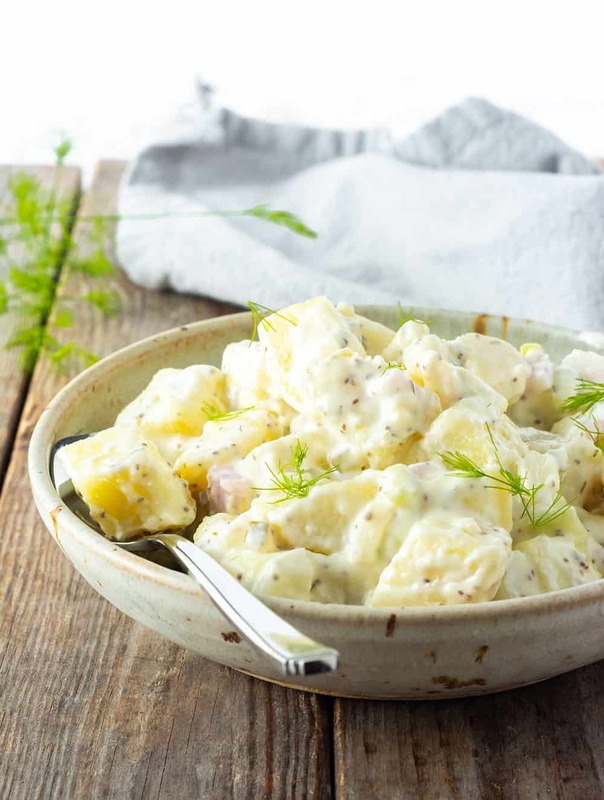 Yellow yam can basically be prepared and substituted for potato in recipes that is why it is perfect in this potato salad recipe. First, peel the skin off the yam and discard. Wash yam, cut into cubes and place in cold water. Bring water to boil in a pot. Add yam and boil until fork tender, about 10-15 minutes depending on the size of the chunk. Discard water using a colander and rinse under cold water, add salad ingredients and stir. Store in a covered container in the refrigerator. 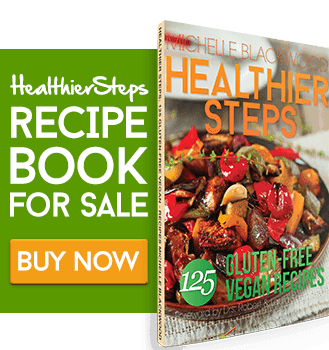 If you make this yellow yam recipe, snap a photo and hashtag #healthiersteps — we love to see your recipes on Instagram, Facebook & Twitter! Bring water to boil in a large pot, add yellow yam and cook until fork tender about 10-15 minutes. Drain yellow yam and rinse with cold water. Combine mayonaise, relish, celery, onion, celery seed, garlic powder, dill and salt in a bowl. Add to yellow yam and stir to combine. 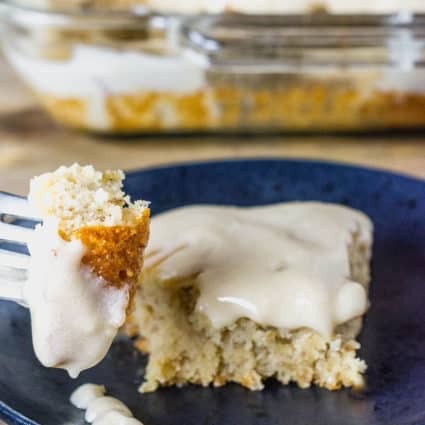 This looks so creamy, I can’t wait to try it as soon as I purchase yellow yam! Cindy, I hope you enjoy it.